I seem to be stealing my themes from various websites. But they are generally thought-provoking, even when I do not always agree with them. But I like this list from Lonely Planet (for a change). 1. Women should not travel alone. Of course, it depends on the risk or danger level. Some women would not be comfortable in the Middle East, or with some of the latest problems in India. But countries like Japan, Australia, and much of Europe are very safe for solo women. Who knows? they might meet their future spouse. 2. Don’t eat the street food. 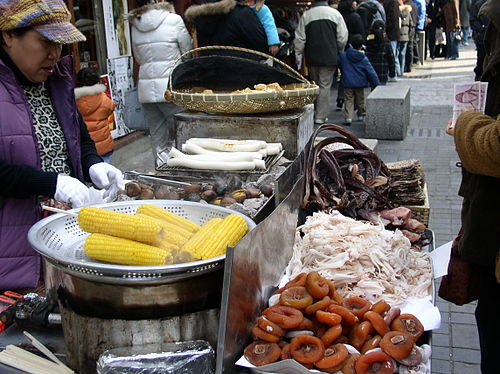 How better to greet the culture as well as find a delicious and inexpensive meal or snack. But pick and choose carefully. I always find the longest line, or the cleanest vendor. The coffee in Laos made from an old sock comes to mind. It might have been the best cup of coffee I have ever had! 3. Take traveler’s checks for emergencies. This is no longer true, as many places will not cash them, including your hotel or restaurant. It is best to carry a few large US bills, hidden away somewhere for real emergencies. And ATM’s are quite ubiquitous. 4. Italy has the best pizza in the world. Not always true, especially if you are in New York or Chicago. Just be flexible, since even a tourist trap in Italy can be a giant rip off if you focus only on one food item, like pizza. You just might miss a good meal! 5. Plan everything/don’t plan anything. Again, pick and choose your spots. If you go in high season, you may need a reservation for a popular tour or site. But don’t book yourself to the point of exhaustion. And always leave room for the unexpected. Likewise, don’t get caught with nothing to do if the island is really busy. 6. You can’t get on Facebook in China. Just be persistent. The entire world is wired or wireless in some fashion. Even on safari in Africa. Or in the Amazon jungle. 7. Bringing more clothes means less laundry. Who wants to carry a heavy bag? 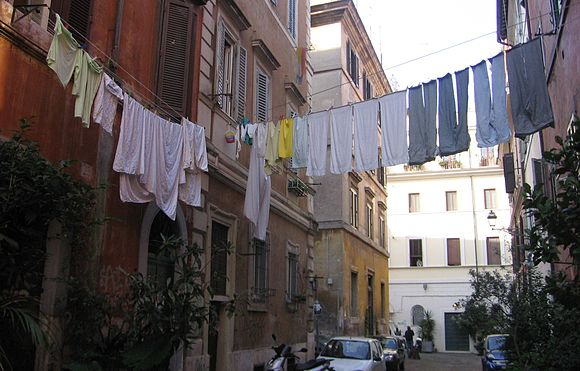 Why not do a little laundry along the way. It might end up to be an interesting adventure. We had to dig through a pile of laundered clothes at a street side laundry in Quito. If you do bring more clothes, remember to give some away to those who really need it. 8. Bring enough OTC medicines and sundries for your entire trip. Most places will have things you might need or run out of. Except in the Amazon, or on safari. You can always borrow from fellow travelers. Or your guide. 9. Bring a knife for protection. Silly advice, though I do bring a knife to cut cheese or bread when traveling overseas. 10. Don’t bother with a guide, you can find whatever you need online. Many websites are out of date, and rarely get updated. And what if you do not have online access in the middle of nowhere? Certainly, on a drive out to the wine country in Mendoza, Argentina, an old-fashioned paper map is a key component of a fruitful adventure. 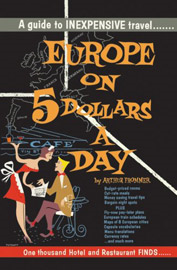 I fondly remember by first trip to Europe, using the book, “Europe of $5 a Day” by Arthur Frommer. It was a great resource. But a few times, the hotel was closed, or the street ended before I could find my destination. Places to eat change even faster. And there is no substitute for a good front desk clerk or concierge to help direct you to hot spots. We finally found Parque Llerus in Medellin, Colombia after we asked the front desk clerk for a great place to dine and drink for the evening. The guide book had but one little paragraph, and did not differentiate its popularity or diversity. Mostly, I say use some common sense, ask locals for help, and do not be afraid to ask. There is more to the world than guide books, and online travel sites.